The New Sweden 2019 mileage contest will run from January 1, 2019 to the day before the 2019 club Christmas party. Participation is simple, just snap a pic of your speedometer(s) on New Year's Day and post it here or send it to me and I will post it for you. Regardless of how many miles you travel, it will be nice to see how everyone averages out. Feel free to post up some updates throughout the year. 4 awards (suitable for framing!) will be given out at the 2019 Christmas Party. Since we are a gender agnostic club, we will not segregate male or female riders into separate groups. Whether you ride 12 or 12000 miles a year. Please participate. Street or dirt, all miles matter. You must be a member in good standing at the start and end of the contest. What if you have multiple bikes? (a BMW, and a couple non BMW's)? 06wrx wrote: What if you have multiple bikes? (a BMW, and a couple non BMW's)? Dan, we are brand agnostic. As long as you are a member in good standing. I suggest that people putting miles on Harley Davidsons be allowed to double their odometer readings because unlike other machines Harley miles are 'quality' miles. Or so I've been told (many times). 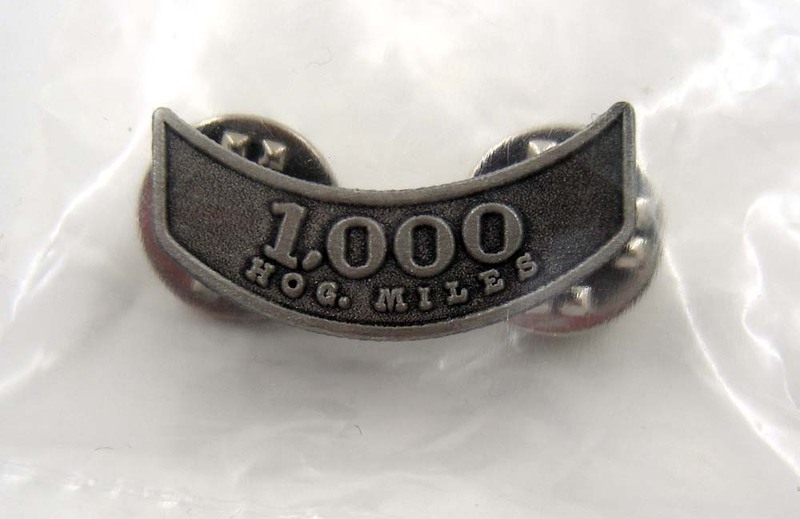 Did you know that HOG (National Harley Club) gives a 1,000 mile mileage award pin. It's true I checked it out. mogu83 wrote: I suggest that people putting miles on Harley Davidsons be allowed to double their odometer readings because unlike other machines Harley miles are 'quality' miles. Or so I've been told (many times). Is that awarded for 1000 miles without breaking down? Yeah well, 1,000 miles in a year is a lot of bar hopping. So... cmon, I get it. Mike P. Doesn’t count... he’s an anomaly! w2ge wrote: Yeah well, 1,000 miles in a year is a lot of bar hopping. So... cmon, I get it. I was thinking 1,000 miles without a trip to the dealer. need2boat wrote: I was thinking 1,000 miles without a trip to the dealer. I thought that is the only destination when you own a Harley. Dealership to dealership.